What Does Diabetes Have to do With Your Dental Care? When you think of diabetes, the first thing that comes to mind probably isn’t your teeth or oral health. After all, diabetics have “real problems,” right? You know, they have skin and foot problems, neuropathy, and even organ failure. In this article, we’re going to explore how your dental health and oral care habits can have a positive (or negative) impact on your total health and well-being. If you have diabetes, it’s extremely important to keep your mouth clean and healthy! In laymen’s terms, if you don’t take steps towards preventing gum disease, it could impact your blood sugar levels and be a contributing factor towards diabetes. So if gum disease has the potential to lead to diabetes, what can you do to ensure that you are making the right efforts to manage your oral health effectively? Due to the fact that diabetes reduces your body’s natural ability to fight infection, oral infections are typically worse in diabetic patients. Preventing them, or seeking treatment for an infection immediately, is key. If you think you may be experiencing an oral infection (whether you are diabetic or not), we encourage you to contact us immediately. Brush and floss your teeth thoroughly 2-3 times per day. 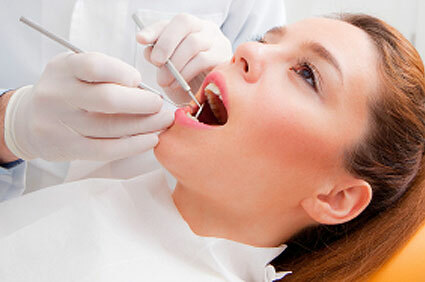 See a dentist every six months for a routine cleaning and complete oral health exam. Limit the amount of sweets and sugary foods in your diet. In addition, an article from knowyourteeth.com states, that in order for diabetics to keep teeth and gums strong, diabetic patients should be aware of their blood sugar levels in addition to having their triglycerides and cholesterol levels checked on a regular basis. 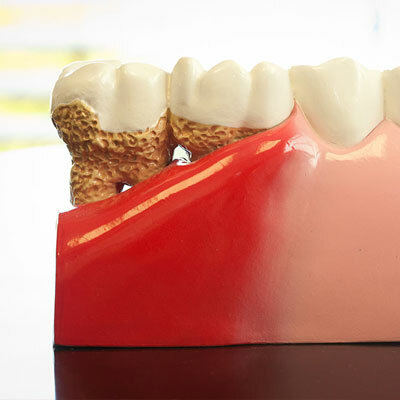 These factors may have a direct correlation on your chances of avoiding gum disease. Over the last few years, severe gum disease (known as periodontal disease) has been linked to serious health conditions, such as diabetes, heart attack, and stroke. Taking care of your teeth and gums is about much more than a bright smile and fresh breath; it could be the difference between life and death. If you are diabetic, or think you may have gum disease, it’s important to see a dentist immediately. If you are searching for a new dentist on the South Shore of Long Island in or around the West Babylon or Patchogue areas, please give our practice nearest you a call today. We help patients fight periodontal disease each and every day, and we would love to help you, as well.